Amy Valent Curlis is an active freelance performer. 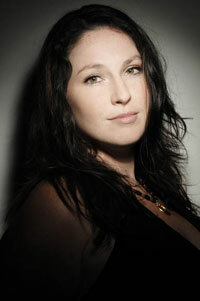 She has appeared with numerous orchestras as soloist, including three concerti written for her. She has performed throughout Australia in bands, including supporting Led Zeppelin’s Jimmy Page and Robert Plant on their Australian tour. Her alter ego is currently unleashed playing drum kit and singing backing vocals in rock band Nick Larkins and the Bones. She has performed with STOMP!, Slava Grigoryan, Valanga Khoza, Chamber Made Opera and Strange Fruit. She has performed at PASIC (Percussive Arts Society International Convention) in USA and toured Sweden following studies there with Dave Samuels, Michael Burritt, Anders Åstrand and James Campbell. She attained her Masters of Performance at the Victorian College of the Arts under Peter Neville. 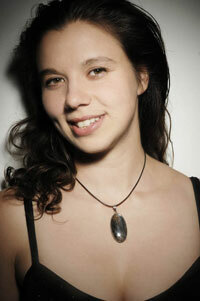 In 2000 and 2001 she founded and directed the Melbourne International Percussion Festival. She is a passionate teacher of both drum kit and percussion. She has conducted workshops and performances in Aboriginal communities in Northern Territory and conducted music workshops at Kew Cottages. In 2008 Amy recorded music that was played at the Opening Ceremony of the Beijing Olympic Games. She has recorded soundtracks for numerous Australian and international films and television series, including Summer Heights High. She has performed in countless festival parades and has been involved in many performances supporting human rights. Arwen Johnston studied at the Victorian College of Arts and has completed a post-graduate degree in Amsterdam, Holland. She is principal timpanist with the Royal Melbourne Philharmonic, Australian Mozart Orchestra and Melbourne Opera Company. She performs regularly with the Australian Philharmonic and is a casual performer with the Melbourne Symphony. In Asia, Arwen has performed with The Macau Orchestra. She is involved in regular composition workshops with underprivileged schools as part of Melbourne Symphony's Outreach program and is a dedicated tutor and educator. As a versatile freelance percussionist, Arwen has toured Australia with rock legends Roger Daltrey and Alice Cooper and has performed with comedian Jerry Lewis. She performs in baroque/classical orchestras using period instruments and toured Australia with the Australian Mozart Orchestra. Arwen has toured Europe with Bartok's Concerto for 2 Pianos & Percussion, Shostakovich's lost film score Odna and Geminiani Orchestra. During her time in Amsterdam, Arwen founded the percussion group Spǽnge, performed regularly with Transcenturia and Opera Minora, was percussionist with the musical “Grace” and collaborated regularly with designers and artists. Arwen has performed two concerti, has had numerous works written for her and has recorded music for film soundtracks, orchestras, composers and rock bands both in Australia and Europe. Last year Arwen recorded music that was played at the Opening Ceremony of the Beijing Olympic Games.